Walmart on Friday announced that it will offer more savings and deals than ever before on Cyber Monday, though you don't have to wait until then to start taking advantage of some of the promotions. The retailer said that "Cyber Week" kicks off on Saturday, Nov. 29 and will run through Dec. 5, when Walmart.com will offer savings on more than 500 products. The company gave us a sneak peak at some of the deals you'll find online coming on Cyber Monday. Online, you should be able to find a 55-inch Samsung 4K Ultra HD LED HDTV for $998, a savings of $500, Walmart said. Additionally, and this is also just online only, the firm will sell the PlayStation 4 Lego Batman & Little Big Planet Console Bundle with your choice of one other game and a controller for $449. You'll also find a "Double Power 7-inch tablet" for $37.99, a 49-inch LG LED HDTV for $398 and a 58-inch Sanyo LED TV for $499. These are in addition to savings on plenty of other products, ranging from $10 women's jeans to a $159 Mongoose mountain bike. Like last year, Walmart said customers can opt to "pay with cash" this year, too, by placing the order online and then paying cash in a local Walmart store. It also just relaunched its mobile website for easier ordering on-the-go. Check out the press release below for more information. SAN BRUNO, Calif. – Nov. 21, 2014 – Walmart today announced plans for its biggest Cyber Week ever on Walmart.com, offering 500 online deals this year – more than double the number of cyber deals it offered last year. Cyber Week at Walmart includes incredible savings up to 50 percent on HDTVs, tablets, toys and more with free shipping. * And it's all available on the redesigned Walmart.com that makes holiday shopping fun and easy, especially on mobile devices. "The New Black Friday at Walmart is five days of unmatched savings, and it culminates on Cyber Monday where we treat customers to the biggest online savings of the season" said Fernando Madeira, president and CEO, Walmart.com. "We're doubling down on Cyber Monday this year, offering more than twice the number of deals compared to last year, and delivering it on a new web site that makes shopping easier and faster with free shipping on the season's hottest gifts all week long." This year, three times as many Americans will be getting a paycheck on Cyber Monday, which comes on the first day of the month this year. * That's good news for the millions of Walmart customers who come to Walmart stores to cash their checks each week, who can take advantage of Walmart.com's Pay with Cash program on Cyber Monday. Walmart was the first national retailer to introduce a convenient way for customers to order online and pay for the order with cash in their local store without a banking service or a credit, debit or prepaid card. Last year, Pay with Cash usage spiked during the period between Black Friday and Cyber Monday, and so far this year, Walmart has seen usage at its highest on the first of the month. As Walmart continues to combine digital and physical retail, customers have more options and opportunities to participate in Cyber Monday and holiday shopping online this year. All year long, Walmart offers free shipping to customers' homes on orders totaling $50 or more and free pickup at Walmart stores. 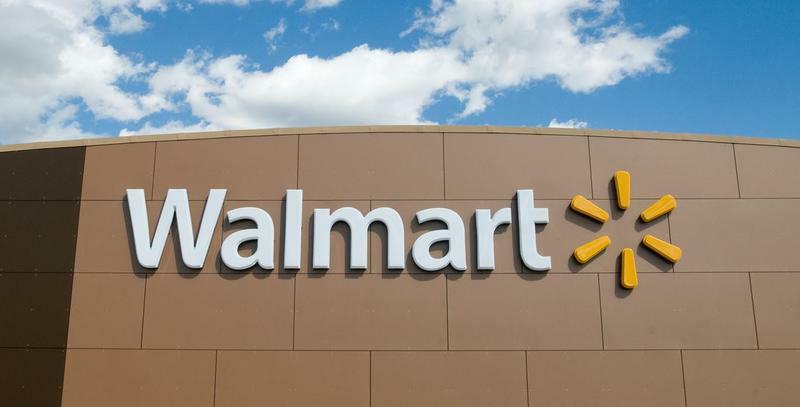 Additionally, Walmart offers free same-day pickup at a local store for more than 70,000 items, one of the fastest ways to receive an online order without paying a delivery fee. Mobile traffic to Walmart's smartphone app has nearly quadrupled since last year. Just in time for the holidays, Walmart is well positioned to serve mobile customers. Walmart.com's new web site design was built for mobile devices and makes holiday shopping faster, with tools to discover new products through personalization and enhanced search. Wal-Mart Stores, Inc. (NYSE: WMT) helps people around the world save money and live better – anytime and anywhere — in retail stores, online and through their mobile devices. Each week, more than 245 million customers and members visit our 11,053 stores under 71 banners in 27 countries and e-commerce websites in 11 countries. With fiscal year 2014 sales of over $473 billion, Walmart employs more than 2 million associates worldwide. Walmart continues to be a leader in sustainability, corporate philanthropy and employment opportunity. Additional information about Walmart can be found by visiting http://corporate.walmart.com on Facebook at http://facebook.com/walmart and on Twitter at http://twitter.com/walmart. Online merchandise sales are available at http://www.walmart.com and http://www.samsclub.com.